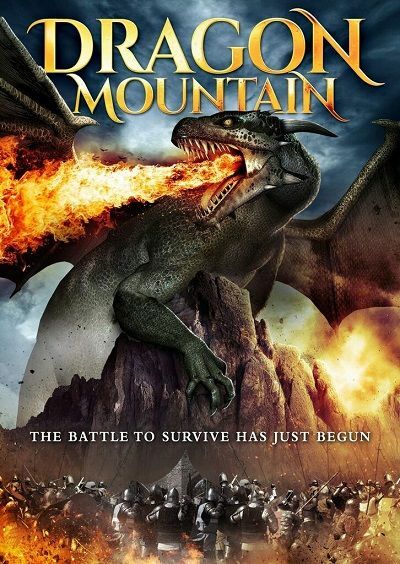 From High Octane Pictures, the studio that brought you Jurassic Games and The Veil, comes a fire-breathing, wind-riding fantasy adventure that’ll run ‘rings’ around the competition this August - DRAGON MOUNTAIN! Comments: The dragon soaring through the skies at the start is amazingly done, great CGI. 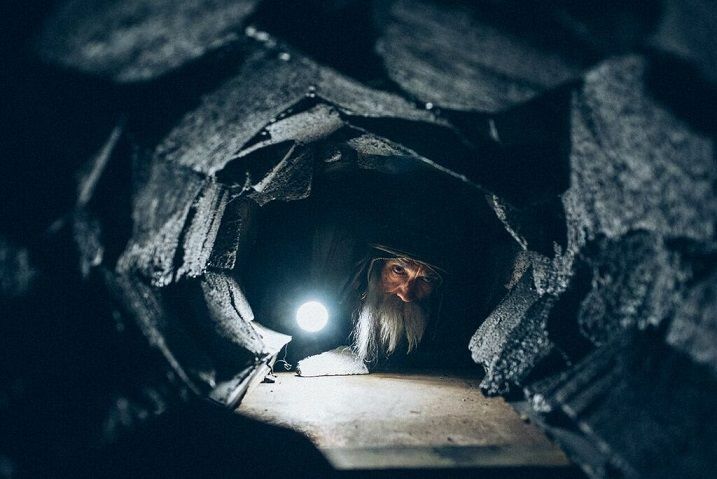 Three dwarf miners are trapped in a cave in of some kind. There is machinery so not sure what time period it takes place in. Three trapped dwarves sitting around trying to figure a way out. It does start to drag on early on in the movie. Being in a cave at times the lighting is to dark to see properly. 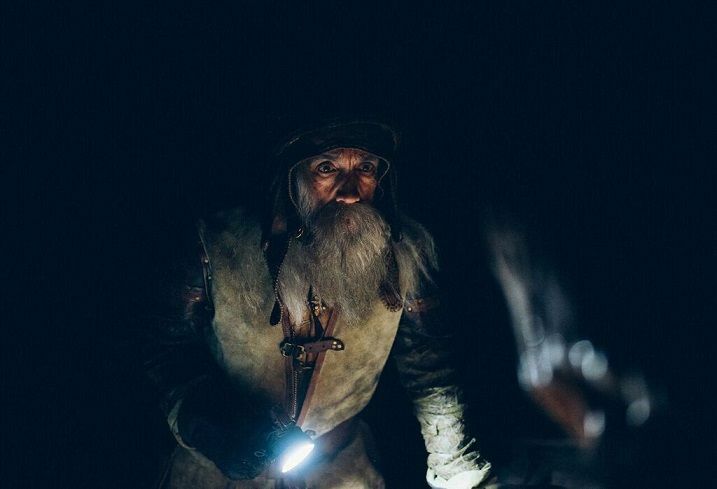 The dwarves are not very interesting characters. There is also some creature in the cave. We get glimpses of it. The dwarves are to busy sitting or walking around to do much with it. The creature has eggs. This is not really gotten into. 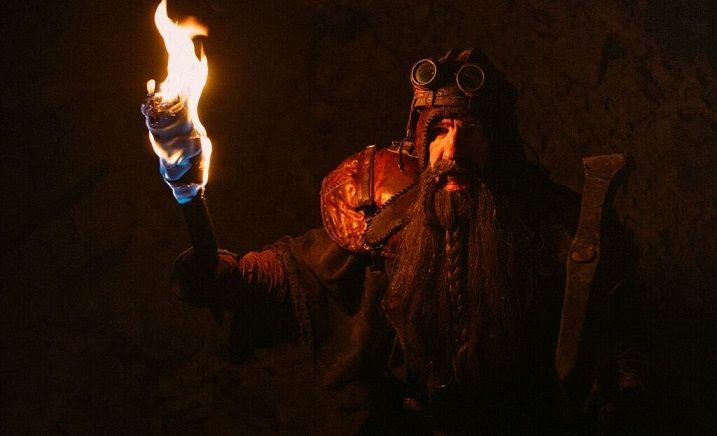 The dwarves to pass the time come up with a business plan to start their own business once they are rescued. The dwarves do comfort each other as they sit in the dark. They know how this will end and so do you. These three dwarves you start to feel for them but you have to watch the whole film before you do. Only at the end does the film draw you in and get you interested in what is happening. The ending is well done. They are all friends and share their common fate.